The Sioux Falls Business Journal (SFBJ) is a weekly news magazine published by Argus Leader Media. Read the latest stories from SFBJ at argusleader.com. SiouxFalls.Business is a digital media outlet published by Jodi Schwan that covers startup and business news in the Sioux Falls metro area. Learn more at siouxfalls.business. Chamber News is the monthly publication of the Sioux Falls Area Chamber of Commerce. It covers news and trends related to the Sioux Falls Business Community. Learn more at chambernews.com. 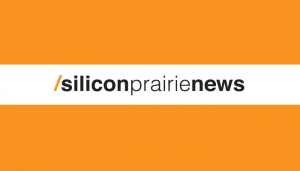 Silicon Prairie News is a regional publication that aims to grow, connect and inspire the tech innovation communities in the Great Plains and the Midwest. Learn more at siliconprairienews.com. Unify Presents: Network Sioux Falls, Advances in A.I. Episode 0: What’s up Season Two?